Israeli leaders slammed PA President Mahmoud Abbas Monday for a fiery, invective-filled speech against President Donald Trump, in which he proclaimed the U.S. role as arbiter of the Mideast conflict over, attacked the administration’s envoys and described Israel as a colonial conspiracy. Israeli Defense Minister Avigdor Lieberman said Abbas had “lost his senses” and had given up on the prospect of peace negotiations in favor of open confrontation with both Israel and the United States. Israeli Education Minister Naftali Bennett, head of the pro-settler Jewish Home Party, said the speech represented Abbas’ swan song. 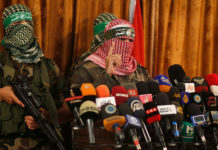 Prime Minister Benjamin Netanyahu, during a trip to India, said Abbas had “tore off the mask” and exposed what he called the truth. “The root of the conflict between us and the Palestinians is their continuous refusal to recognize the Jewish state in any borders,” he said in a statement on Facebook. 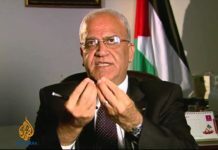 In a rambling, two and half hour long speech Sunday night, the Palestinian leader sharply escalated his rhetoric, lashing out at the U.S., Israel, Britain and even other Arab leaders, whom he told to “go to hell” for criticizing him. 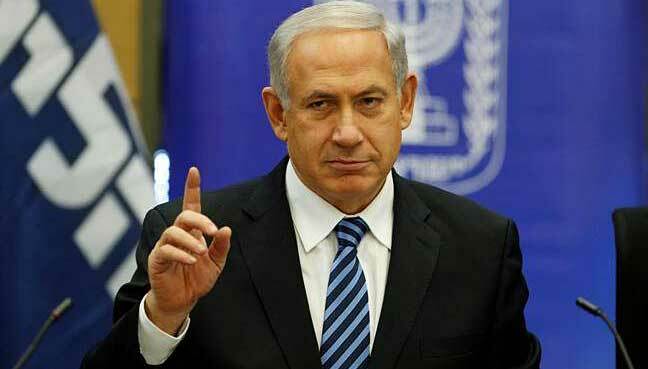 He pronounced the peace process dead, and accused Israel of killing it. 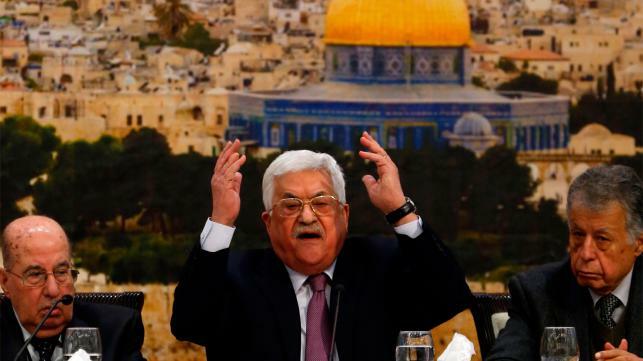 The speech came at a time of great frustration for the 82-year-old Abbas, who after 13 years in power has made little progress in his goal of establishing an independent Palestinian state on lands captured by Israel in 1967. 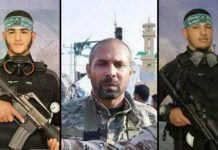 The rival Hamas militant group now controls the Gaza Strip, his erstwhile Arab allies have quietly moved closer to Israel or turned their attention to other pressing matters such as Iran, and he has lost faith in the United States as a Mideast broker following Trump’s recognition of Jerusalem as Israel’s capital last month. Abbas also is deeply unpopular with his own public. In the address, Abbas attacked Trump over the Jerusalem decision and rebuked Trump’s recent Twitter comment threatening to cut American aid and alleging the Palestinians were no longer willing to negotiate a peace deal. “Since when did we reject negotiations?” Abbas told members of the Palestinian Central Council, a key decision-making body. “Shame,” Abbas said, addressing Trump. In colloquial Palestinian Arabic, the phrase can have different connotations, from a harsh to a casual insult, but its use in a widely watched speech seemed jarring — and could exacerbate his already fragile relationship with an American president who is particularly averse to criticism. 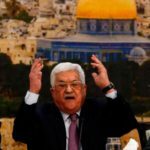 Abbas called Trump’s moves a “slap in the face” and threatened that the Palestinians “will slap back,” without elaborating. He took particular aim at the U.S. ambassador to Israel, David Friedman, a strong supporter of Israel’s West Bank settlements, for reportedly objecting to the use of the word occupation, and Nikki Haley, the U.S. ambassador to the United Nations, for once quipping that she wore high heels to fend off Israel’s opponents. He also reiterated his demand that Britain apologize for its 1917 Balfour Declaration, which endorsed the idea of a Jewish state. He accused Israel of sending drugs to Palestinian children. 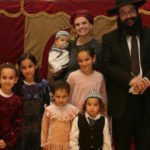 Most angering to Israelis, however, was his assertion that the country was a result of Western efforts to offload their Jews. Israeli President Reuven Rivlin, who holds a mostly ceremonial position, said the comments brought to mind Abbas’ own doctoral dissertation, in which he challenged the number of Jewish victims of the Holocaust and claimed Zionists had collaborated with Nazis. Given the lack of actual policy decisions, the speech appeared to reflect frustration over prolonged deadlock and a sense of abandonment.